Over the course of the Cold War, the man known as Snake developed from a lone soldier caught in the struggle between Capitalism and Communism to the living symbol of a nation free of ideology called Big Boss. By the close of Peace Walker, he had become a man with two bodies – one physical, the other conceptual. Ground Zeroes, the first part of Metal Gear Solid V, continues soon after, as word arrives that Paz, the Cipher Agent who infiltrated Mother Base under the guise of a pacifist student to frame the MSF as terrorists, survived and is being held at an American prison in Cuba. Fearing that she’ll reveal their secrets and in time for a United Nations inspection of Mother Base, Snake infiltrates Camp Omega. Safely aboard their chopper, they discover a bomb implanted inside Paz. Though disposed of, one Trojan horse begets another – the UN inspection was a cover to sneak Skull Face’s XOF forces, who proceed to blow the supporting columns and collapse Mother Base from inside. Another explosion rocks the chopper, sending it down in fire and metal. Both of Big Boss’s bodies were destroyed. In its short development, the many possibilities of proxy warfare had become apparent. In the simplest terms, proxy warfare involves one group using another, the unit able to scale from as small as a single mercenary to as complex as a governmental body. The size of the unit, and the strategy it uses, is based on the answer to a single question: is the puppeteer trying to maintain their own power or trying to undermine someone else’s? When a nation becomes a puppet for another, it allows the puppeteer to expand their influence and tip the balance of world power. When a small group enters the general population of a target, they are positioned to corrupt the body from within by sabotaging infrastructure, destabilizing the economy, or disseminating grass roots propaganda, all to shake the people’s confidence in their government. In this way, proxy warfare is well suited to adopting terrorism’s use of fear to create a reaction. Where Paz’s terrorism sought to defame, Skull Face’s meant to destroy. Big Boss, and the idea he represented, needed to disappear. The Phantom Pain opens in 1984 with Snake regaining consciousness, his eyes slowly making out the details of a sterile hospital room to a cover of David Bowie’s ‘The Man Who Sold The World.’ His doctor informs him that he’s been in a nine year coma and that the explosion took his left forearm and shot a giant piece of shrapnel into his head, protruding out like a beast of hell. The attack on the MSF robbed him of the three elements that define the individual: body (gene), mind (meme), and time (scene). What’s more, to protect his identity, it’s suggested that Snake get plastic surgery and you’re given the task of designing your new face. When the hospital is infiltrated by XOF agents with orders to execute, a bandaged patient that’s been watching over him helps get him through. A single metaphor shows how much he’s lost. Forced to crawl limply along the floor due to his atrophied muscles, he needs to remember: his body to remember its strength, his mind its knowledge, and his skills their training. The two barely escape the presence of a young red-headed boy with a familiar gas mask and a specter whose rage is so intense, he burns everything around in hellfire. 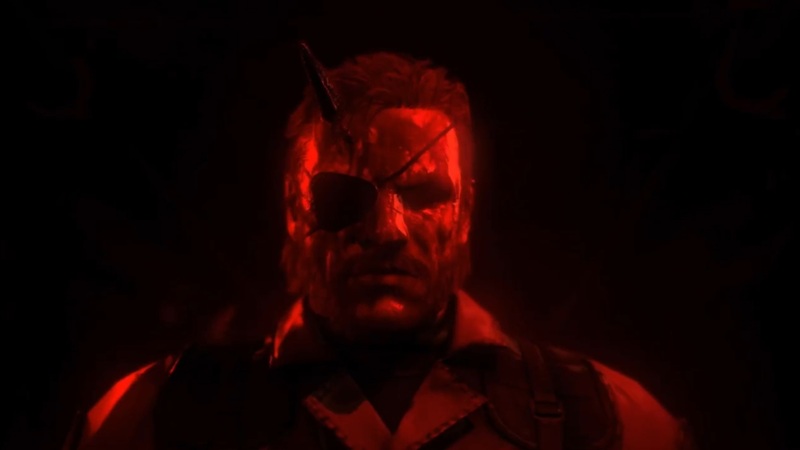 Infected by the poison of vengeance, Venom Snake begins to rebuild Mother Base. Things had changed over the Cold War and socialism, having killed a hundred million people in the name of the common good in Communist Russia under Stalin, China under Mao Zedong, and Cambodia under Pol Pot, found itself displaying the danger of collectivism. Trying to maintain Communism’s sphere of influence, the Soviets invaded Afghanistan to stop a revolt against the puppet leaders they installed in the government. 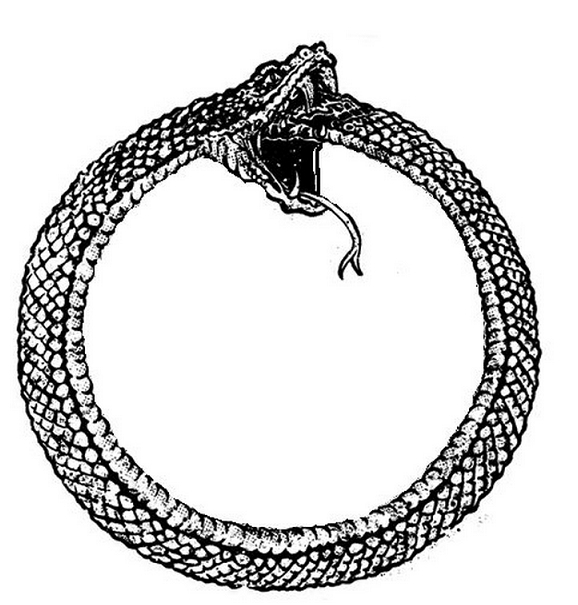 By the time Snake reenters the world, the united Muslim consciousness had been engaged in a jihad for half a decade, supported by weapons and training provided by the CIA. In Angola, Private Forces took advantage of the sustained ethnic conflict of the region between the Soviet backed ruling MPLA and the Western-backed Unita revolutionaries. Proxy warfare let the Cold War recede into the shadows. Snake reenters the war industry after rescuing Miller, taking jobs as they come. Though the early missions cover mine clearing and intel gathering, you’re soon actively destabilizing the Soviet’s communication lines and eliminating low-level officers. When an entire group of Mujahedeen vanish, Langley fears their new chopper-killer ‘Honey Bee’ will fall into Soviet hands. Making his way into the militia’s camp, Snake is grabbed by a giant mechanical fist, and reunited with Skull Face. Snake barely escapes an attack from the Skulls, the zombie-esque squad whose rock armor and attacks seem tied to the very land they walk, but comes out the other side with plenty of incentive to rebuild Mother Base. While fundamentally the same as Peace Walker, Mother Base’s ecosystem is given new dimension. Every addition to the ranks increases its collective strength, which manifests in better gear and support. The practical benefits of outfitting Mother Base is obvious early, as getting someone who speaks the native language allows Snake to communicate with the locals. Because Mother Base is an open system where the only prerequisite to admission is your ability, the members of Diamond Dogs come with a diverse background of cultures, races, and specialties to pursue a common goal. Not long after Snake arrives in Angola he discovers the disease. As he walks through rooms of the dead and dying in one of Skull Face’s research stations, he finds that their putrefying lungs are apparently caused by the speakers forcing recorded messages down their throats. Not long after the discovery, a similar outbreak appears on Mother Base. Quarantining the sick away from the main facility, analysis reveals that the common denominator, the target of the illness, is the Kikongo language. The investigation leads to the revelation of the vocal cord parasites. These selectively cultured organisms are attracted to the rhythms and sounds of certain languages, manipulating its host to make contact where they talk, exchange their strains and let the resulting eggs eat their lungs. Skull Face kills by robbing people of the organ that generates their voice. The Phantom Pain’s date is no coincidence. In his classic 1984, George Orwell created Newspeak, a rigorously edited language designed to constrict thought into a narrow range. Based on the theories of linguistic relativity, Newspeak was a tool the novel’s English socialist government Ingsoc used to control behavior. By deleting words to eradicate their concept and simplify surviving words so they provoke base emotional responses, the population was kept placid and subservient to the state. Metal Gear Solid had already analyzed memetic control and social engineering with Sons of Liberty’s S3 engine, an information filter that wove a socially acceptable narrative out of digital data. When information flows openly through a society, ideas are put through the rigors of debate, challenged from every angle until they reveal truth. By restricting the flow, ideas and opinions are echoed back into the group without question until they become truth. We get a concise lesson on the downfalls of dogmatic belief with the Skulls and their Puppets; one wraps their ideology around them like armor, zealots living in a perceptual fog, while the other is an empty vessel to be controlled, completely unable to think for themselves. But where MGS2 analyzed from within the confines of a single social system, V’s parasites elevate it to a global scale, where those beliefs must clash with the beliefs of others, naturally leading directly to a culture war. A look at the times shows how identity-based divisions devolve into conflict. The current state of affairs in Afghanistan and Angola are both rooted in cultural identity. In Afghanistan, it was the perceived attack on Islam that united local Muslims to fight the Soviets. In Angola, it was the artificial prioritization of one identity over the other that led them to slaughter each other. The logical conclusion to a primacy of identity is genocide. Perhaps Metal Gear Solid’s most prevalent theme is interpretation. Throughout the series, the major players all interpreted The Boss’ desire for a unified world in their own ways, reaching vastly different conclusions. Initially, Skull Face developed the project to eradicate all language except English so Cipher could expand U.S. influence, a biological version of The Patriots digital sift. It wasn’t until later that his plan flipped to the opposite, to kill its ideas and sever a global line of communication and cultural exchange. The parasites are a single tool that can be used for contrasting ends- imperialism or segregationism. Zero and Skull Face are similar in that they both chose their own variations of collectivism to recognize The Boss’ goal, trying to force all people into a predefined identity. If Skull Face’s thoughts are the result of constant adoption and discard of different languages, oversaturating a word with definition to strip it of all meaning, then his thinking is so garbled that it can justify contradictory conclusions, subverting reality so that the confines of ideological imprisonment are seen as freedom from someone else’s oppression. As Skull Face so succinctly puts it, “The world will be torn asunder. And then it will be free.” For someone who peddles separation, its little surprise to see that he alone creates the product that will save it. Once everyone is separated into groups, convince them that all those outside it are a threat. It’s at this moment that the nuclear-equipped mech Sahelanthropus, modeled after the evolutionary link where biology facilitated language and thus culture, makes a statement that will blanket every nation in the world: you need protection against those outside your borders. Even after the Metal Gear is destroyed, there’s not much to celebrate. Anyone who has played the first Metal Gear Solid knows Sahelanthropus’ message was received, because within two decades, nuclear proliferation will escalate around the world to the point that a facility would be built in Alaska in a futile attempt to dispose of it. Because Mother Base was an open system where cultures lived side by side, the Kikongo strain could be identified and isolated without crippling the whole. That’s the value of open systems- they don’t consolidate power enough to be attacked or become weapons to attack with, so political takeovers, whether imperialistic or segregationist, largely dissipate. The trick, then, is to manipulate it into centralizing. This is where proxy wars subversive capabilities are applied to culture and identity. Throughout The Phantom Pain, we’ve witnessed Mother Base gradually transform. As the group’s wealth grew, they became the target of others who wanted to take it and formed a security force to walk the decks. As the conflict with Skull Face escalated, their desperation compounded, their doubt turning to suspicion in tandem to interrogations morphing into torture. Mother Base was radicalizing systematically. Then the quarantine lab went down. Discovering that a new strain of the virus has rocked the facility, Snake enters the ravaged halls for survivors. The truth slowly dawns on you – everyone is infected. Room by room, floor by floor, Snake is forced to execute his soldiers, men and women he lived and fought alongside. The horror of this scene is agonizingly drawn out until you have no choice but to deaden your emotions to mercifully spare them the trauma. Even in death, the ghost of Skull Face lingers. Because of their shared grief, the people of Mother Base united into a national consciousness, directed by a single will. The funeral is the last fire we see. To keep the contagion from spreading, the dead were incinerated. Every Metal Gear Solid climaxed with a fight that tested Snake’s evolution over the course but gave some much needed catharsis for his struggle. That ended with this last entry. With no foe to quench his vengeance, the fire within Big Boss finally erupts from a spark twenty years in the past, a blaze set to scorch the future for the next thirty. By portraying the descent of its hero into a villain, The Phantom Pain is a cautionary tale of losing yourself into your identity. Wearing diamonds pressed from the ashes of their comrades on their sleeves, the men and women of Diamond Dogs carry the weight of their sorrow with them into battle, fueling the flames of conflict for the generations of Snakes that follow. The Phantom Pain’s last story mission has a revelation. Back in in the hospital, Snake wakes from his coma. 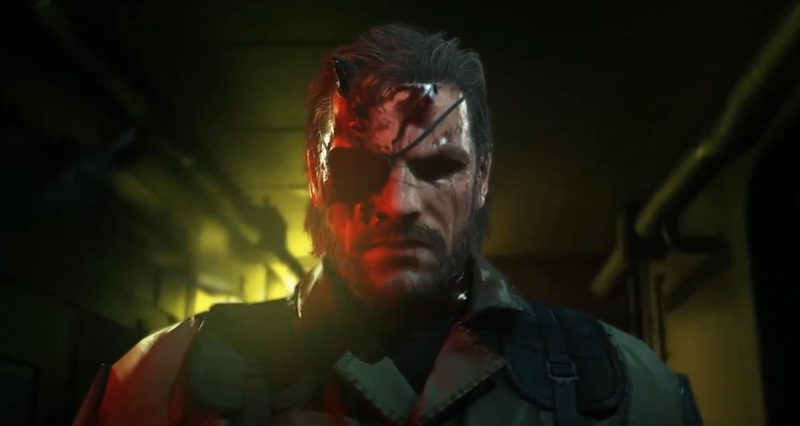 But when you’re told about the plastic surgery, you’re given a view of your pre-op face, and find that it was the one you’d created long ago- the surgery was to put Big Boss’ face on yours. But the original had remained by your side, helping to get you out of the hospital, and find the strength to pick yourself up off the floor. Since the release of Metal Gear Solid in 1998, the series has used the interactive nature of videogames to transform you into Snake. In the seventeen years between it and the MGSV, you experienced his missions until you knew his entire history. You contain all his memories. By setting aside your own body, your own culture, you were able to experience his life, be his greatest proxy. The first three Metal Gear Solid games made a plea to everyone to live their life to the fullest. The last three made a similar but crucially different one, that to get it, you need to give everyone else the room to do the same. We mustn’t hold tightly to our pasts for fear of losing sight of the future, must not let identity be the stick with which we measure someone’s worth. Through its analysis of politics, people and the planet they occupy, Metal Gear Solid believes in liberty for all, showing what it is, how to find it, and how to fight when it’s being taken away. Big Boss’ legacy is a lesson that will be carried on through everyone that ever took his code name. This essay series would have been impossible without the fascinating Cold War analysis that Mahmood Mamdani provided in his book ‘Good Muslim, Bad Muslim: America, the Cold War, and the Roots of Terror,’ a work that provides deep insight into the evolution of proxy warfare, political identity, and cultural consciousness.